Have Your Best Year Ever – With Help From Spirit! It’s the dawn of a fresh new year, and if you’re like me, you’re busy putting together plans, lists and resolutions to ensure that this year is the very best it can be. To help make your dreams come true, I’d like to pass on some advice from our spirit friends. As a medium, I’m in touch with the Other Side on a daily basis, and regularly receive insight and guidance from loved ones who have passed. I’m also tuned into my personal spirit guides and angels who are always there to help and inspire. Here’s the good news – you don’t need to be a medium to get help from Spirit! You were born with the precious gift of natural psychic abilities, and if you’re reading this blog, it’s likely that you’re aware of that little voice inside of you – at least some of the time. This year, make the conscious decision to let your intuition guide you more often. Resolve to pause and look inward for guidance when you’re faced with a choice or opportunity. One of the main obstacles we face when tapping in or using our psychic gift is doubt – but think about it. How many times have you ignored your gut, then looked back and regretted it? Are you the kind of person who’s so busy worrying about getting things done that you have difficulty just “being”? Besides creating a lot of unnecessary stress for yourself, this kind of behavior makes it difficult to pick up on the helpful signs and signals the Universe is sending your way. A regular practice of meditation gets you in the habit of operating in the NOW, where your own intuition, not to mention your connection to divine guidance can flourish. It’s easier than you think. 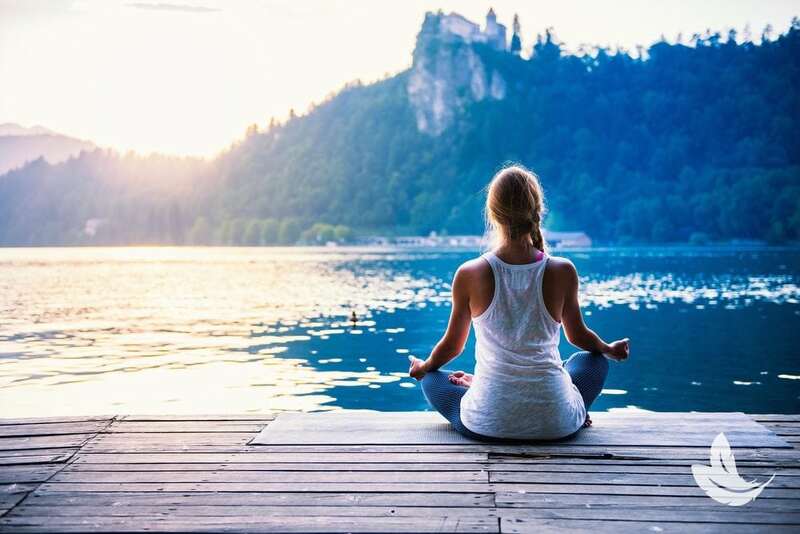 Meditation can be sitting quietly and focusing on your breath, but it can also be whatever woks for you – walking, listening to music, journaling, reading a passage in a spiritual book. Just set aside a few minutes each day for your practice, and you’ll fine yourself happier, calmer and more connected to Spirit. 3) Partner Up With Your Guides and Guardian Angels. Imagine you could consult with an all knowing, all seeing being who’s intimately familiar with your needs and desires, yet has no personal agenda and only your best interest at heart. What would their advice be worth to you? I’m guessing it would be priceless! If you’ve paid attention to trusting your intuition and embracing the present through meditation, you will find yourself with an increased awareness of the benevolent spirit beings that are around you – Spirit Guides and Angels. They are right there, waiting for you to invite them in. Get to know your guides by setting your intention during meditation, and checking in with them throughout the day. Ask for advice in matters large and small, being open to the signs they send your way. And don’t forget – when you benefit from their support and wisdom, be sure to send them a message of thanks! 4) Connect with Loved Ones in Heaven. If there’s a loved one on the Other Side that you’ve been missing, don’t let your grief stand in the way of your living your best life. I’ve spoken to enough Spirits to know that their fondest wish is for you to be happy. Instead of missing them, find ways to feel closer to them. Talk to them as if they were still here (because they are!) Ask for their advice and help, and keep your eyes open for signs from them. You might even try giving them the chance to connect with you through automatic writing. Just sit quietly, with a picture of your loved one in front of you. Ask a question, then pick up a pen and imagine their hand lovingly guiding yours as you write out their answer. The results might surprise you! No matter what chances and challenges the upcoming year presents, I know you can successfully navigate them with the help of your Guides, Angels and your own inner knowing. I hope you’ll stay in touch this year as I share more ideas and insights from our friends in the Spirit Realm!